Home Tags Posts tagged with "goodfellas"
Frank Vincent, best known for his roles in The Sopranos series and several Martin Scorsese movies, has died aged 78. According to TMZ, the veteran actor had complications during open heart surgery in a New Jersey hospital. In The Sopranos, Frank Vincent portrayed gangster Phil Leotardo, the nemesis to the main character Tony Soprano. The actor also played tough guys for Martin Scorsese in Raging Bull, Goodfellas and Casino. He had a heart attack last week, TMZ reported. 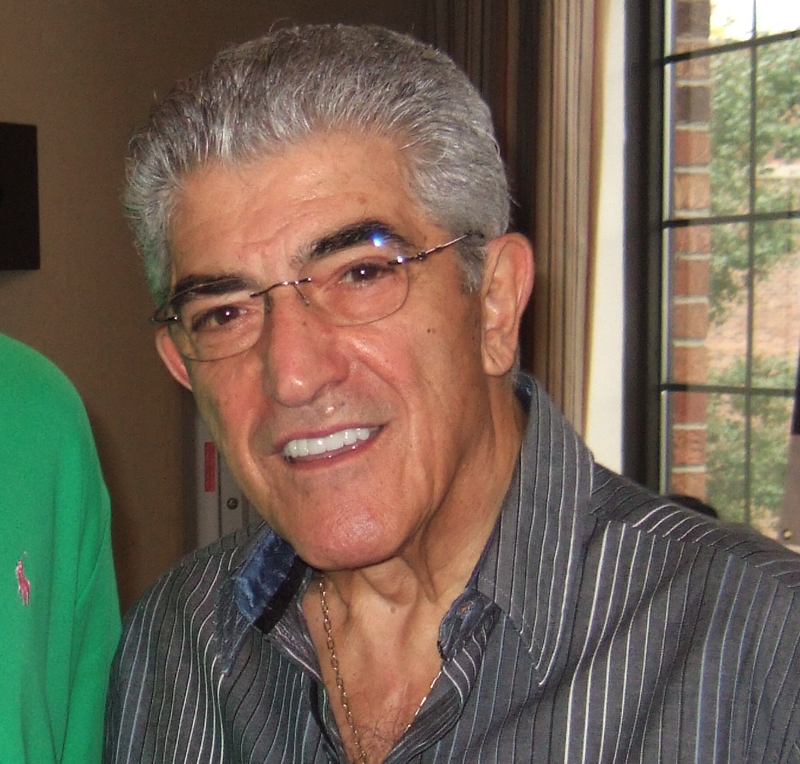 Frank Vincent was born in North Adams, Massachusetts and was introduced to show business at an early age by his father, an amateur actor. He made his acting debut in 1975 in Ralph DeVito’s Death Collector, according to his website. Martin Scorsese saw his work and cast him for Raging Bull, in 1980. During his 41-year career, Frank Vincent often played mafia characters, most notably in Goodfellas, in 1990, when he portrayed Billy Batts, who famously ended up beaten to death by Joe Pesci’s Tommy DeVito. Frank Vincent was also a musician, comedian, producer and author – he wrote A Guy’s Guide to Being A Man’s Man. Reputed mobster Vincent Asaro has been found not guilty of planning a brazen 1978 airport heist that helped to inspire the Mafia movie Goodfellas. The mobster was cleared of murder, extortion and other crimes after a three-week trial. Vincent Asaro’s arrest in 2014 had raised hopes that one of the country’s most infamous unsolved crimes would be closed. The theft by masked men of $5 million in cash and $1 million in jewels from a Lufthansa Airlines cargo building at New York’s John F. Kennedy Airport was the biggest robbery ever carried out at the time. Prosecutors said Vincent Asaro waited in a decoy car about a mile away with another gangster Jimmy Burke, who inspired the character played by Robert De Niro in Martin Scorsese’s cult film. Lawyers spent years building a case against the defendant, the only man arrested over the crime, and had called on senior Mafia figures to give evidence. The US attorney’s office declined to comment after the verdict, a reticence not shared by a jubilant and dumbfounded Vincent Asaro. “I was shocked, I was really shocked,” he told reporters outside the courthouse, where major mobsters like John Gotti had been convicted in the past. In closing arguments, Assistant US Attorney Alicyn Cooley told the court the defendant, whose father and grandfather were members of the secretive Bonanno crime family, “was born into that life and he fully embraced it”. The state’s case relied heavily on the evidence of Vincent Asaro’s cousin Gaspare Valenti but defense lawyers tried to discredit such witnesses as “accomplished liars”. Taking the witness stand last month, Gaspare Valenti told the court that Vincent Asaro and Jimmy Burke killed a suspected informant using a dog chain and then ordered him to bury the body. Jimmy Burke died in 1996 while serving a 20-year sentence for the murder of a drug dealer. He was suspected of, but never prosecuted over, the Lufthansa robbery or the subsequent deaths of many of those suspected of taking part in the heist. Vincent Asaro, an alleged member of an infamous New York mob family, has been charged with stealing $5 million from the Lufthansa terminal at JFK airport in 1978. The crime, among the largest cash heists in US history, was dramatized in the 1990 movie Goodfellas. Vincent Asaro and four other alleged mobsters were charged with crimes dating as far back as 1968 – murder, arson, extortion, robbery and more. The men are expected to appear in court on Thursday afternoon. On December 11, 1978, hooded gunmen rushed into Lufthansa Airlines’ cargo terminal at New York’s JFK airport and stole $5 million being transported to a Manhattan Bank from West Germany, as well as $1 million in jewellery. Investigators said the thieves were familiar with the cargo building’s layout, including the location of the high-value storage room, and addressed several Lufthansa employees by name. The cash was never found. 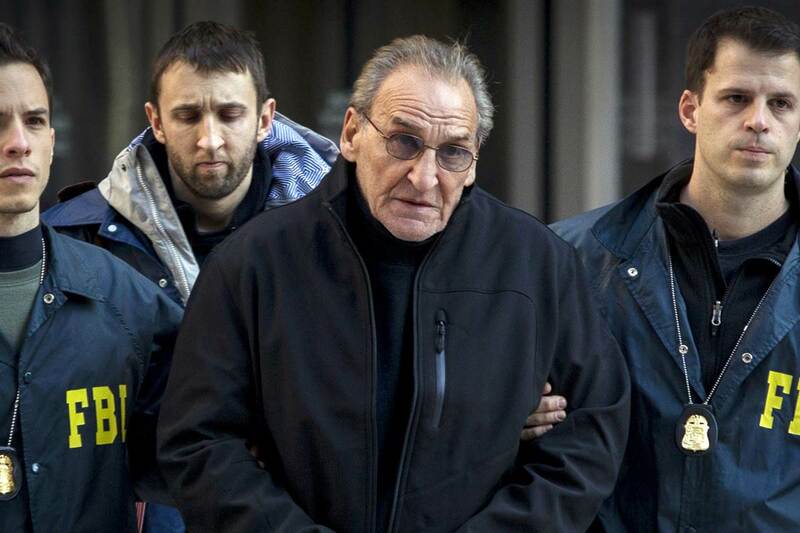 Vincent Asaro, an allegedly high-ranking member of the Bonanno crime family, was arrested on Thursday and charged in federal court in New York with the robbery. He is also charged with a 1969 murder, extortion and illegal gambling. The indictment charges him and Jerome Asaro, accused of being a “captain” in the Bonanno family, with the theft of $1.25 million in gold salts from Federal Express, a US freight service. Vincent Asaro and Jack Bonventre, another alleged Bonanno associate, are charged with illegal gambling. In addition, the Asaros, Thomas DiFiore and John Ragano are charged with a litany of crimes between them including racketeering, extortion, arson and murder solicitation. The authorities have had difficulty bringing charges in the case over the years, largely because so many people suspected of involvement in the heist were killed by nervous mobsters. Just two years after the robbery, The New York Times reported at least six murder victims were believed to have been connected with the case. A cargo agent for the airline with gambling debts was the only person ever convicted in connection to the crime. In June, FBI investigators descended on a neighborhood in the New York borough of Queens where they believed the robbery was planned. 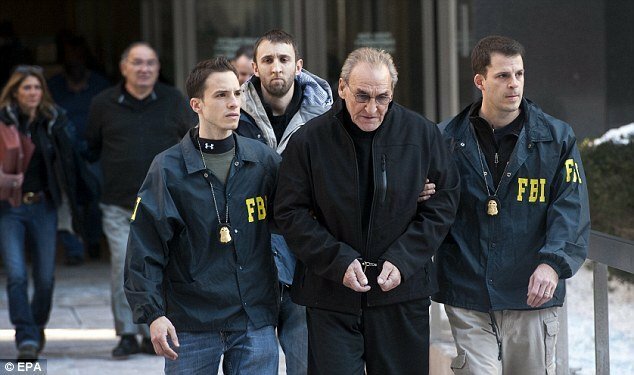 The agency believed James Burke, a now-deceased Lucchese crime family associate who inspired Robert De Niro’s character in Goodfellas, masterminded the heist. Investigators used jackhammers and shovels to dig beneath James Burke’s house.